While there’s no magic number that covers all, currently the average cost of divorce in Washington is roughly $13,400. With children, the average cost of divorce is $20,100. Every step of the process comes with specific charges and fees. From the initial filing to relevant court costs to finding representation, it all has a price. And that’s just the beginning. After you finalize your divorce, a number of other expenditures arise. It’s easy to anticipate the obvious expenses. You know up front hiring a lawyer costs money, though just how much greatly depends on the individual situation. But then you have to consider those that seemingly come out of nowhere. Or at least the ones that you don’t necessarily expect, like the impact on your taxes or buying a bed for a new home. So, the real question is: what’s the average monetary cost of divorce in Washington? There’s no easy answer, and countless factors impact the final amount. all of these, and more, play a part. Simple, straightforward divorces can be relatively inexpensive. But the more complicated things get, the faster fees pile up. With that in mind, here are some costs, obvious and otherwise, you should be aware of when dissolving a marriage. No matter how clear-cut and uncomplicated your divorce, you still can’t get off Scott-free. In this day and age, it’s easier than ever to download the forms, fill them out yourself, file them, and be done. But even if you take a do-it-yourself approach, you have to pay. From there, you have to serve your spouse. If you hire a lawyer, they can handle that, likely for a fee, or you can use an outside process server. Depending on what company you use, and how easy or difficult it is to find your spouse, this can run you anywhere from $50 on up. Essentially, any time you have to submit paperwork, respond to the opposition, or appear before a judge, expect to shell out at least few dollars and watch the cost of divorce creep higher. Beyond the first step, you encounter costs for filing petitions, responding to motions, and appearing in court. Again, the more complicated your case, the money you’re going to spend. In most cases, attorney’s fees promise to be one of, if not the biggest cost of divorce. Hiring an experienced lawyer helps you navigate complex legal waters. A professional knows the process, can answer your questions, and steer you towards the best outcome. But this comes with a significant price tag. The extent of these costs coincides with the complexity of your case. In short, the more issues, the more time you spend with your divorce lawyer, the more fees you rack up. In most cases, there’s a charge for an initial consultation, followed by an hourly rate. 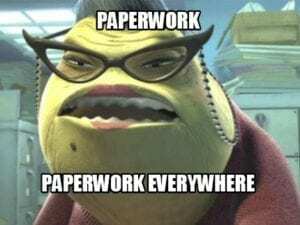 Being organized, having all of your paperwork in order, and doing some of the legwork cuts down on how much your lawyer needs to do, thus how much they bill you for. We cannot stress this enough; if you put in the time to educate yourself, focus on what’s most important, you can curb some of the cost of divorce when it comes to attorneys. Regardless, it’s your best interest to find out about their billing practices up front. Learn how your lawyer breaks down the charges, what services you get, and what you’ll see on your invoice. Though the cost of divorce may seem high at first, making sure everything is handled properly will pay off in the long run. If your settlement isn’t sound, problems arise- expensive problems often arise later on. Even if you take a DIY approach, it may benefit you to have an attorney look over your paperwork to ensure everything is in order before you file. 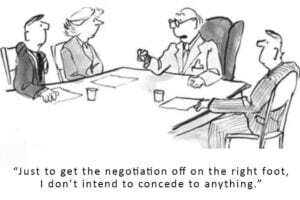 After you retain a divorce attorney (if you hire one), there are a few things you can do prior to your next meeting to get the ball rolling. There are two forms that are required for every divorce, a “Confidential Information Form” and a “Certificate of Dissolution – Vital Statistics” form. Downloading and completing these forms before you meet with your family law attorney will save you time (and money). If you are curious about other forms available online, you can access your county’s Superior Court Forms Directory by clicking on your county to go directly to the respective directory (King, Pierce, Snohomish, Skagit, Thurston, Kitsap, Mason, Jefferson, Whatcom). The cost of a complex divorce will be impacted by the necessity of experts. Many cases don’t require experts, but for those that do, it can be an expensive proposition. Here is a list of the common experts required in a divorce and an estimate of the cost for their services. Forensic Accountant: $3,000.00 to $5,000.00 to get started. Computer expert for data recovery and discovery: $75+ per hour, or some companies charge per GB or TB. Financial Planner or accountant: $1,000 to $2,000 flat fee; for ongoing services most firms require monthly retainers. Though fees for paperwork, court appearances, and lawyers are the most obvious costs of divorce, none of them last forever. Once your divorce becomes official, these stop accumulating. Depending on the situation, however, a number of expenses continue long after you sign the divorce decree. If you have children, and you’re not the custodial parent, you’ll likely pay child support. Designed to provide for the continuing care and well-being of your kids, and cover the basic necessities like food, shelter, and clothing, the parent with the most overnights usually receives the payments from the other. Though the court may award child support even in cases of 50/50 shared custody. Filing a parenting plan laying out visitation comes with fees and surcharges that raise the cost of divorce. How to calculate your child support responsibility. ability to pay, and more to determine what is fair and equitable. Approximately 97% of spousal support payers are men. Many people often fail to consider the impact of taxes in post-divorce life. After finalizing your divorce, your filing status changes. You can’t continue to file as married if you’re not actually married, can you? If you pay or receive child support or spousal support, that also impacts your taxes. It’s even possible for your credit score to take a hit following divorce. Moving forward, your ex’s finances won’t impact your own. But if your name stays on any shared debt, that can come back to bite you. Divorcing doesn’t automatically alter any pre-existing financial obligations. So, if you have shared credit card debt, a joint car loan, or a mortgage, you remain liable for those. Much like shared property, the court also divides shared debt. Ideally, part of your divorce agreement includes explicit details about who covers what. The court may order you to make mortgage payments or your ex to pay back a car loan. Your settlement can also include stipulations that your ex must refinance loans to be in one name. In a perfect world, that’s what will happen. But if it doesn’t, it can reflect negatively on you and your credit. By the time a divorce becomes final, most couples already live apart. But if you’re the one who moved out, setting up a new home base comes with its own set of costs. You have deposits and down payments, replacing furniture, stocking a new kitchen, and more to contend with. Though many may be small on their own, they add up quickly. Beyond that, even paying all of the bills from a single paycheck is a first for many. This cost of divorce often takes a back seat to more immediate concerns, but must be dealt with. Divorce doesn’t come cheap, and these are just a few of the financial elements to keep an eye on. No two situations are alike, which makes determining the average cost of divorce difficult. Remember, the more complicated the case, the costlier it becomes. 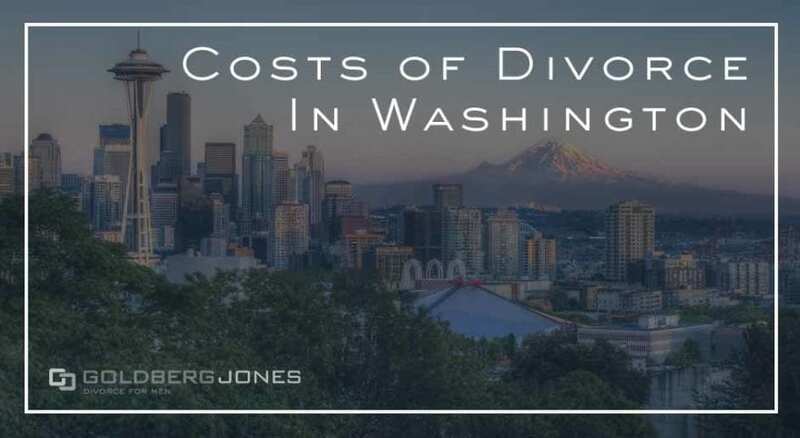 Children, high levels of conflict, significant property to divide, long marriages, all of these factors and more tend to send the cost of divorce in Washington skyrocketing. We’ve highlighted some of the most important posts and popular questions for our spotlight series here at Goldberg Jones. Can Ex Keep Your Child From Sports? We explore ideas to help everyday dads navigate school breaks, holidays, and vacations, as well as other advice to help you through and after divorce.